A monthly themed blog post. The first one is ESCAPE. 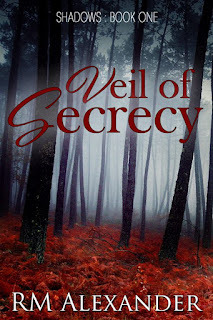 I'm excited to feature six authors and six books related to the theme escape. The authors will offer a blurb and a short teaser excerpt plus some buy links. A special congrats to Chris as this is release time for his debut novel. Kidnapped by her lawless parents, Sophia resorts to thievery and arson to escape. Her survival depends on her mastering magic and the supernatural, and guarding her heart against Breaux, a voodoo queen’s grandson. 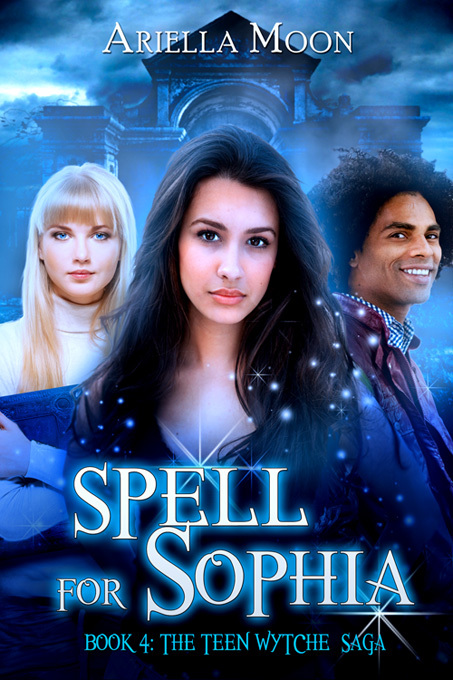 When magic hurls the teens through time, Sophia’s friend Ainslie will risk her sanity to find them. Fate and ghosts await, and conjuring always exacts a price. I'd thought escaping would uncoil the fear and worry squeezing my heart. I figured I'd stop looking over my shoulder once I crossed the California state line, or Arizona's, or New Mexico's, or the border between Texas and Louisiana. But I hadn't. Terror and hunger dogged me. I reeked of desperation. My head throbbed from all the bad decisions I had made since I'd found my bio-parents. I could still pull out of this; save Christmas. Call Ainslie, the voice inside my head urged. I bet he'll loan you his phone. My gaze zeroed in on the leader of a ragtag group playing basketball on the schoolyard. His short black curls had been coaxed away from his face, revealing warm nutmeg-colored skin and kind, dark eyes. Fifteen years old? I wondered. She paused for a moment to get her bearings. Should she take Reggie or not? Yes, she should. Both horses were still tied to the bush where he had left them. Where did he get a horse anyway? Stolen, probably; she wouldn’t put it past him. If they still hung horse thieves, she might get rid of him that way. She quickly unsaddled his horse and removed its bridle. “Get going,” she softly cried. The horse huffed and vanished into the dark night. “Let’s go, Reggie,” she whispered. Reggie butted her, and the two of them also melted into the shadows. 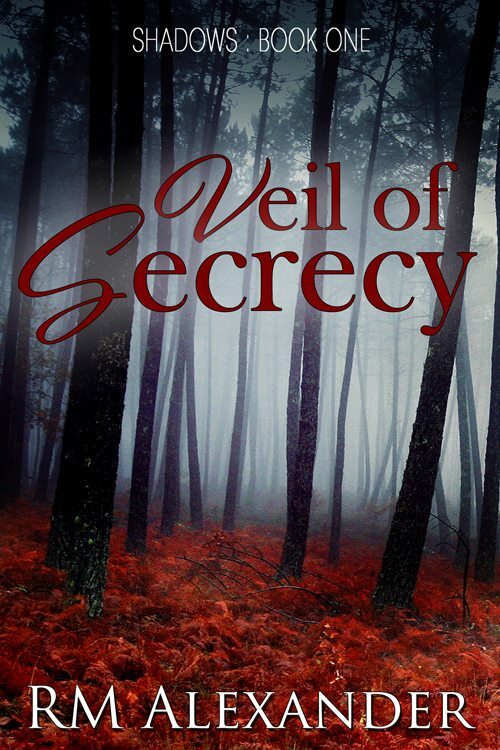 After escaping from Bedlam where her cousin had her committed for refusing to marry a man of his choosing, Emily must masquerade as an earl’s servant to remain hidden. 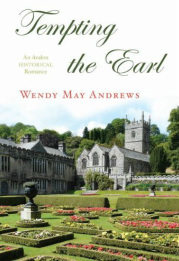 To her astonishment she finds she enjoys the role, but unfortunately finds herself attracted to the haughty young earl. 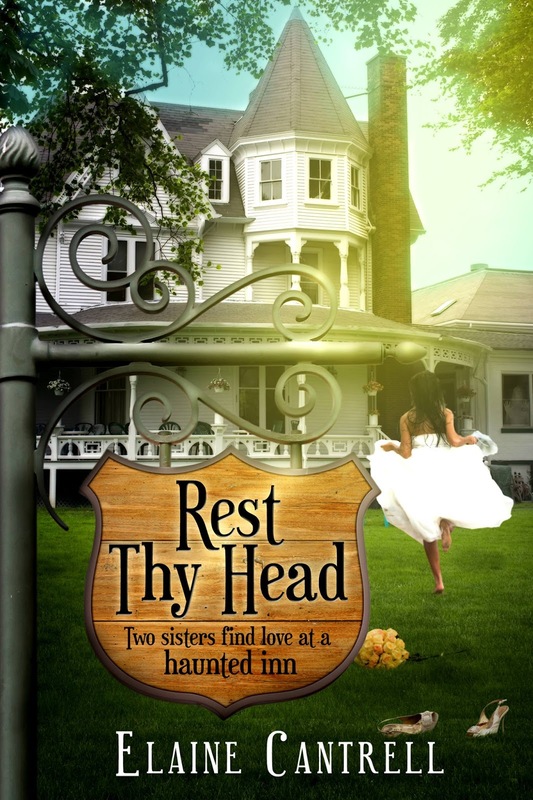 He too struggles with an attraction to his beautiful new maid, but has his mind set n pursuing a courtship with the much more appropriate Lady Maude. Who is Emily? Why is she hiding in the earl’s household? Can a case of mistaken identity lead to true love? “What’s going on here, George?” he called out in slightly accented French as he approached. Emily was fluent in the foreign tongue but felt unsure how to proceed. Have I gone all the way to France? her confused mind questioned. That hardly seemed possible. Would it reveal too much to acknowledge her understanding? She waited nervously to see what would develop as the young lord approached the rear of the carriage. Up until very recently Emily had led quite a sheltered life, and she felt unprepared to deal with a handsome nobleman in her current state. No amount of dirt could hide the refinement in Emily’s face and bearing. Philip wondered dispassionately what this beautiful but bedraggled creature was doing huddled in his carriage. His left eyebrow rose in a questioning look as Emily burst into speech. Which will Honor lose first? Her head or her heart? When plunged into a world of spies, agents and espionage Honor, Lady Beaumont, flees for her life when her husband is captured at Salamanca. 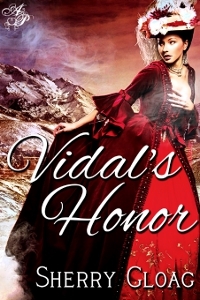 Lord Vidal, sent out to Spain, brings her home to a city full of enemies. Which will she lose first, her head or her heart? 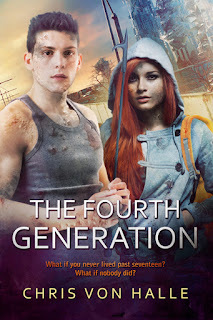 In my YA dystopian novel, The Fourth Generation, the main character Gorin lives in a society that doesn’t allow its citizens to have possessions (among other things). However, over the years Gorin has both illegally and secretly kept for himself a few objects that he’s found out in town. And every evening, after a long day of hard, grueling work, he covertly studies/plays with them in his bedroom as a way of momentarily “escaping” his unfair, freedom-devoid society, which allows him to gain some perspective on it. Below is an excerpt taken from one such evening. I held the necklace, which had some kind of silver-lined red stone on it, up to the torch. Supposedly the rulers still didn’t know what the point of necklaces were. I put it around my neck, something I’d started doing about a year ago. It just felt right. I stepped in front of the mirror above the wardrobe. The gold glinted in the torchlight, and every muscle in my body relaxed. So precious…The necklace looked out of place next to the mottled gray tone of my skin, which seemed even darker than yesterday, if that was possible. Now that I only had two months to live before the plague finally got me, my skin was darker than most kids’ in town. Such was life. Still, I could make out my large, blunt features. Not exactly good-looking, but I was tall and my decent-size muscles stretched even my sweater’s sleeves. A couple more reasons I was a supply hunter, and good at it. I rubbed my thumb over the red stone, curling my other hand into a fist. It was so unfair I wasn’t allowed to keep things like this. So unfair everybody in Middleton had to transport all objects they found to the Baudelux family at the mansion. Someday, Rachel thought, I might be able to get the emotions under control … but not today. She whisked away remnants of tears, and, thumping both thumbs against the steering wheel, glanced out the window. Rachel drew in a heavy breath, filling her lungs and calming the tidal waves within. She couldn’t deny how captivating the drive had been since leaving the city. Winding curves shimmered in the high afternoon sun, twisting through rich jade broadleaf and evergreen trees. Alongside, rushing rivers snaked through deep gorges and under occasional white stone bridges. Rocky shores decorated by wildflowers, and more than one fisherman stood knee-deep in the gurgling waters with nylon lines dancing in the passing wakes. Alpine peaks of the Sapphire Mountains to the west and the Bitterroot Mountains to the east jutted skyward, snow-covered, even in midJune. The further south Rachel traveled, the closer the mountains edged towards the road, cliffs laced with trees and trickling water. Big Sky Country, Land of the Shining Mountains, the Last Best Place. All nicknames discovered in her limited research seemed appropriate. Whatever anyone wanted to call it, one word summed it up best. Beautiful. Thanks for the spotlight, Kathy! What an awesome collection of books! And how clever to group them by themes. Nice work.